…and last night was the biggest show of the tour. 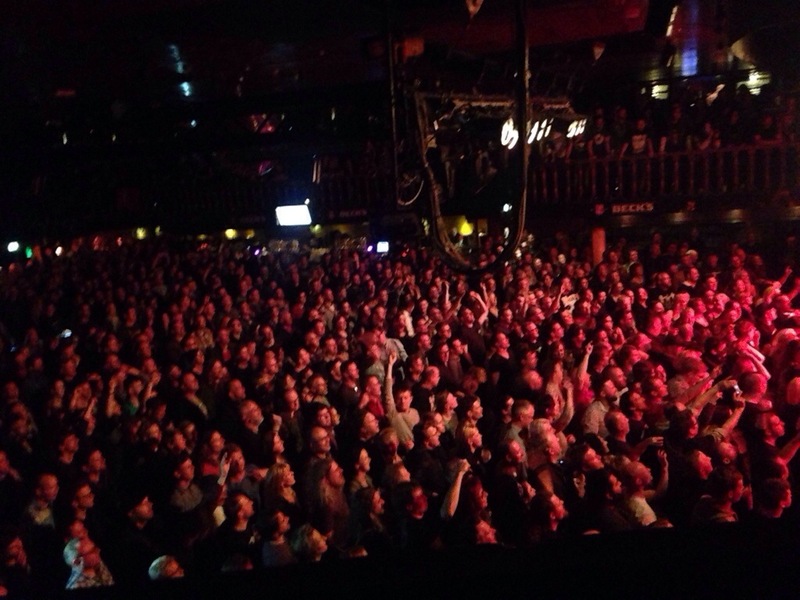 Große Freiheit was completely sold out. 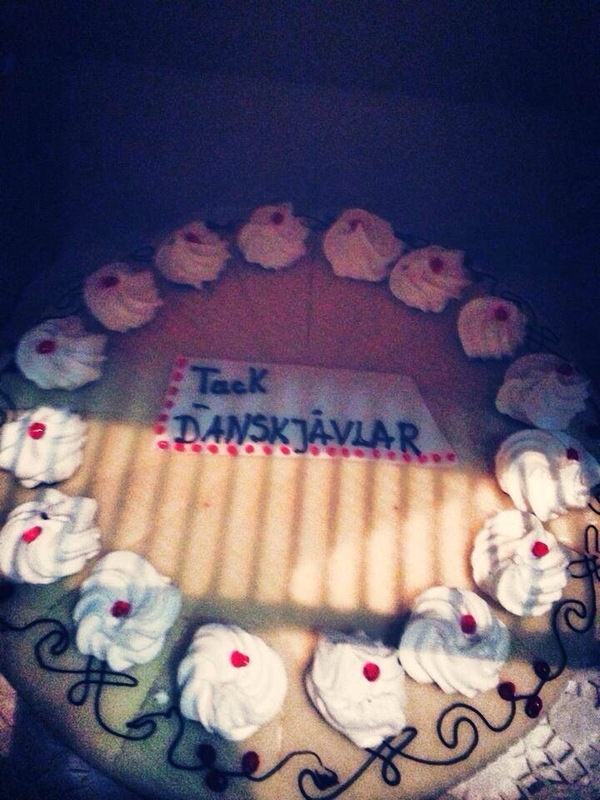 After the gig we treated D-A-D with a cake as a token of our appreciation. Before the van rolled out, Johan (who is a big Beatles freak) ran down to the Kaiserkeller for a quick peek. 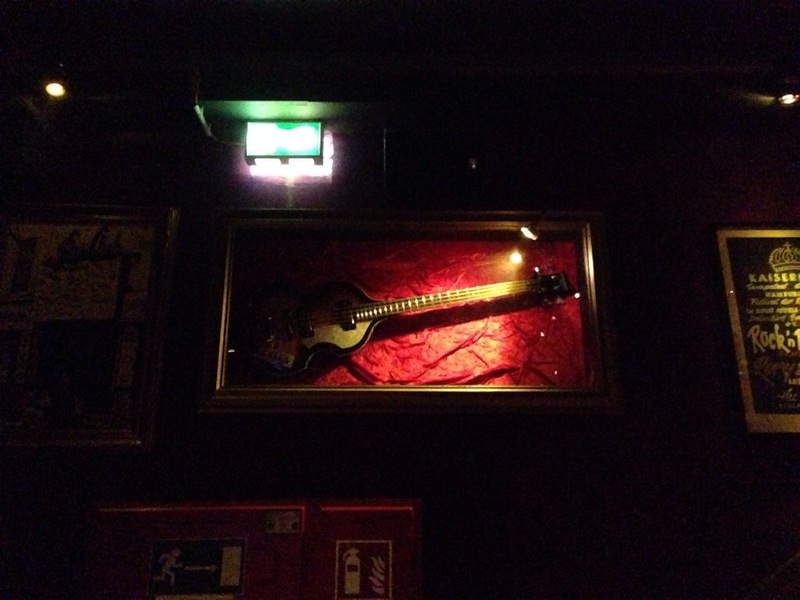 The only Beatles related thing down there was a framed Höfner bass, so it was quite an underwhelming experience, unfortunately… Now on to Flensburg and the last gig of the tour!